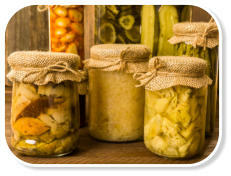 Making your own preserves can be very rewarding, and they will unquestionably taste better than the purchased preserves. 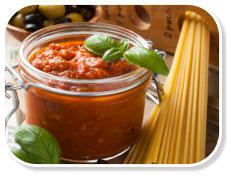 More importantly, you can keep it natural; avoid using any preservatives, artificial colours or flavour enhances. Use only good quality, fresh ingredients for optimal results. Buy produce seasonally as it can be purchased it at a cheaper price, in larger quantities and while it is fresh, tender and flavoursome. 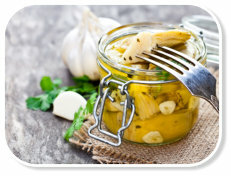 There are three ideal and effective processes for preserving globe artichoke hearts. They are: 1. Canning which involves heating up both the jars and the produce to a specific temperature to kill off any bacteria, ensuring the globe artichoke hearts are vacuum sealed in glass jars. 2. Freezing is the process of chilling foods to below zero degrees, which enables the globe artichoke hearts to keep their flavour and texture. 3. Preserving in oil, preferably a good quality olive oil. 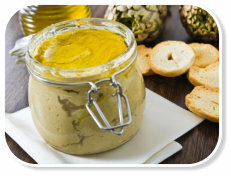 Olive oil is a natural preservative which prevents food decaying by sealing the top layer to avoid contact with air. This can delay moulding, oxidation or deterioration. 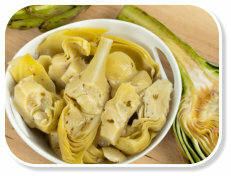 Preserved globe artichoke hearts can now be easily added to your favourite dishes, or to share with friends. 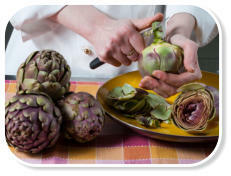 Handmade preserves are the best kind of gifts to give or receive, and they’re made from the heart … the artichoke’s heart! 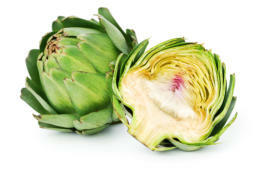 Artichokes are high in Vitamin C which supplies collagen to help wounds heal quickly and protects the body from disease!